EDC Las Vegas 2018 is just around the corner, and it’s time to start preparing to head out to the desert! First time attending the largest dance music festival in North America? Don’t worry–we’ve got you covered. Everything you need to know from packing tips to general safety, this comprehensive guide has got it. Most importantly, we’ll help you to make those three days under the Electric Sky into the most unforgettable experience of your life. 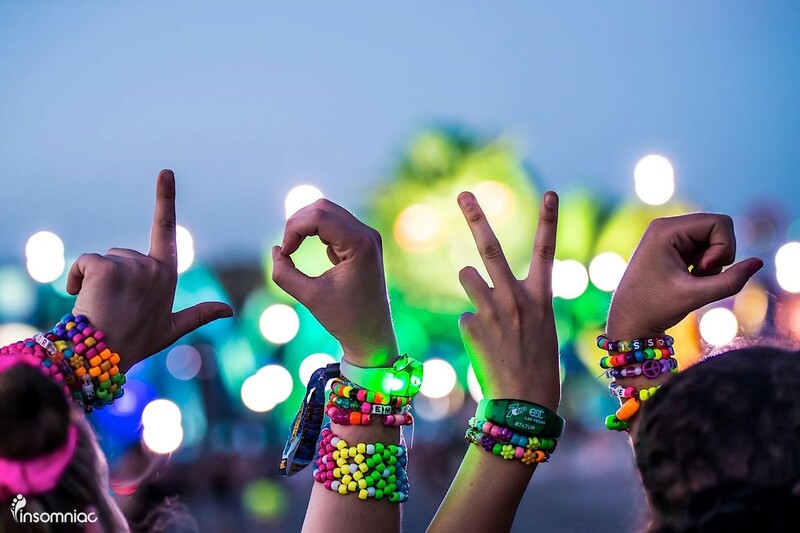 Read on below for tips, tricks, and advice to make this year’s EDC as PLURfect as possible. GA tickets are now sold out — but not for you! Use Ticketmaster’s Official EDC Ticket Exchange for the ONLY 100% safe and secure fan-to-fan resale tickets. Limited VIP passes are also available. Packing for EDC can be a daunting task, especially if you’re a first timer. Here are some items that’ll improve your time a hundredfold—less worries and more dancing! Fun but comfortable outfits, something you can dance all night in and won’t get too hot in the desert heat! For a complete list of acceptable items, read here. For a full list of prohibited items, read here. 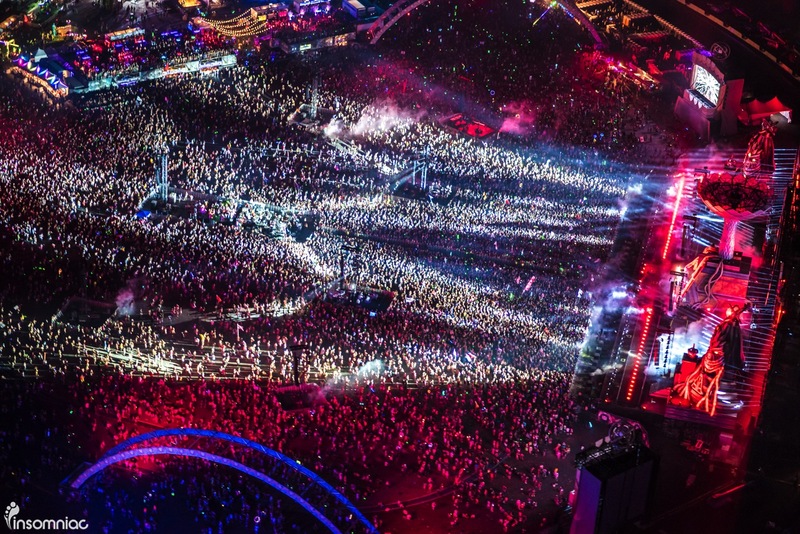 EDC is held in the Las Vegas Motor Speedway, which is around 45 minute drive from the strip in traffic. Luckily, you’ve got a ton of options when it comes to transportation. 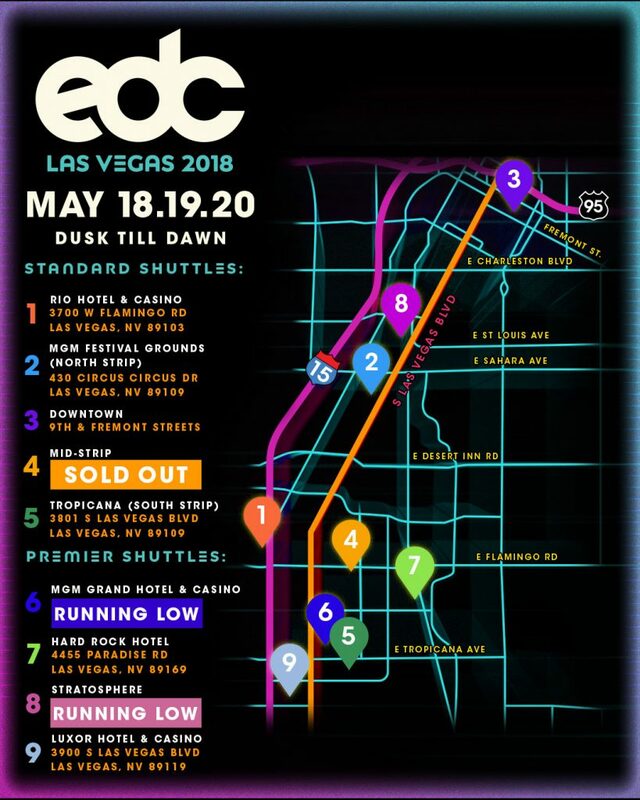 The best choice is the EDC Official Shuttles, which pick up and drop off at nine popular hotels on the strip. The map below shows the shuttle locations, including four Premier Shuttle locations. Premier shuttle perks include reserved shuttle departure times, premium merchandise pack, security pre-check at the festival for expedited entry, and shuttle stop amenities including seating areas, restrooms, and water. Even if you opt for the standard shuttle, you’ll enjoy a faster route to the venue, and avoid the always unfortunate task of deciding who is going to drive. You’ll be exhausted coming home after that sunrise set and driving is the last thing you’ll want to do. If you do decide to drive, there is plenty of parking available. They even have a Premier Parking Pass you can purchase, which allows you to park in the premier lot right next to the entrance, making for quicker, easier entry and exit. Make sure to go over the parking map before you leave, and make a super, super important mental note (or actual note in your phone) of where you parked and the route you took to get in the festival. There’s nothing worse than wandering around hopelessly searching for your car after a long night! Headliners, rejoice. This year EDC rolls out an all-new camping experience, and the early birds who scored passes before they sold out are in for a treat. 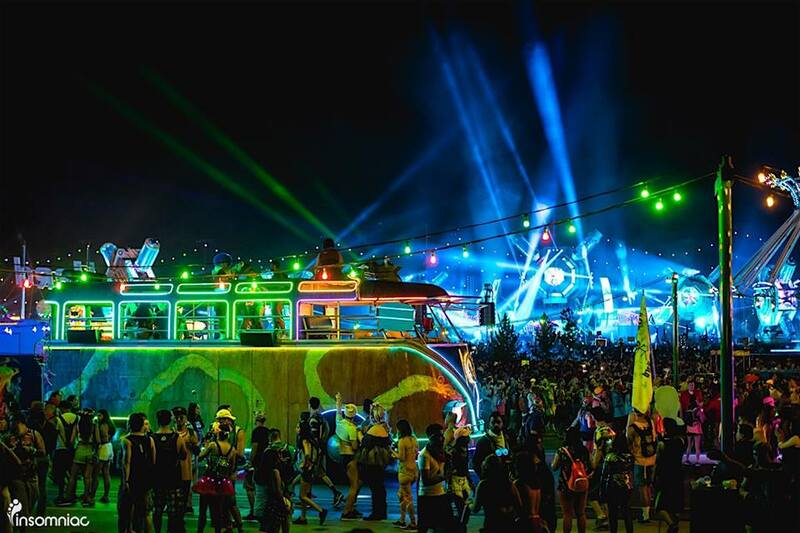 Boasting both RV and tent options located directly next to the festival grounds, Camp EDC makes it easier than ever to get to and from the main event. But with all the awesome perks available at the Mesa, you might have a hard time leaving at all. The one-of-a-kind campgrounds offer various transformational activities including self-care workshops, yoga, partner massages, and chakra balancing. And because EDC doesn’t skimp on experience, all those health and wellness options are also juxtaposed with daily pool parties (yes, they built two pools in the desert!) — so you can wind down and turn up at the same time. Pro Tip: Review the Camp EDC guidelines to ensure your weekend living Under the Electric Sky goes off without a hitch. You’ll find a ton of helpful info including essential items to pack, what to leave at home, and a handy map of the campgrounds. Staying fed and hydrated is SO important. Dancing and running around all night can take a toll on your body, so make sure you keep yourself fueled with lots of yummy meals and free water! There are a ton of cool places to grab a bite to eat throughout the festival—a great move for a middle of the night meal is to hit the food trucks. When it comes to drinks, it is crucial to make sure your water bottle or hydration pack is filled up, especially before heading to a set you might be at for a while. There are water refill stations all over the festival, so keeping hydrated is easy! If you need a little something more, Redbulls are a life saver at EDC. There are a ton of Redbull stands around, so if you’re feeling the wave of tiredness wash over you, head over and grab one. You’ll be buzzing with energy in no time. If you’re 21+, definitely check out the hosted bar areas, like the Smirnoff House or Corona Electric Beach. They often have DJs spinning smaller, more intimate sets before or after their scheduled ones, so it’s definitely worth dropping in! Learn more about the full amenities. 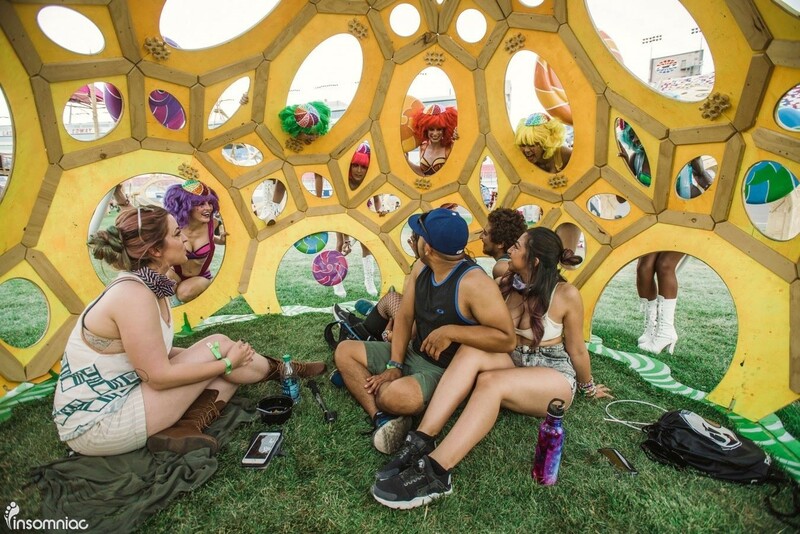 Meeting spots will be your saving grace at EDC. Right when you arrive, set a meeting spot with your group and make sure everyone is aware of it. There are infinite possibilities—you can meet outside the lockers, a food place, an art installation (just make sure it’s not a moving one! ), or anywhere else your heart desires. 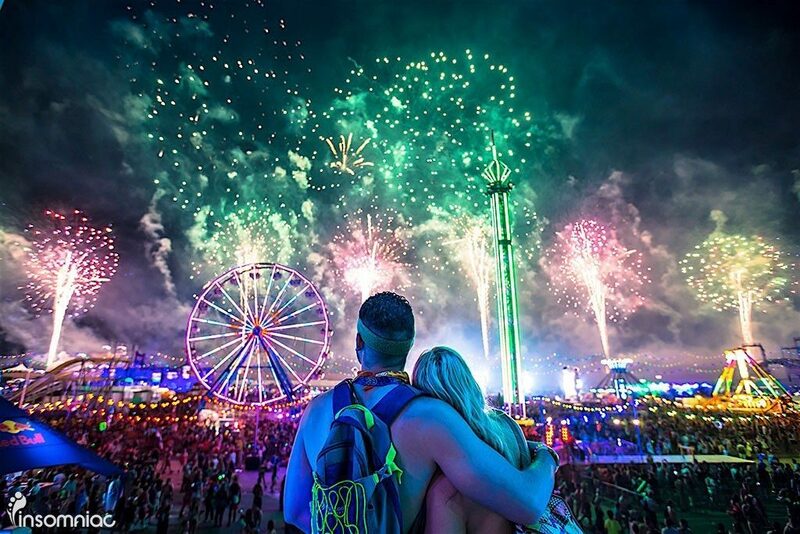 Your phone service at EDC may experience delays when the festival gets packed, so the best way to make sure you can find your friends is to set a time and a place to meet. It removes any waiting around and struggling to find friends, leaving more time for fun! Pro-tip for sending messages: time-stamp the message in the body of the text so that your friend knows what time you originally sent the message. Sometimes it can take forever for the message to send from your phone, or for your friend to receive the message, so your phone’s time stamps may be messed up. This is a fool proof way to make sure everyone’s on the same page. Try to keep your phone on airplane mode, just turning it on occasionally when you need to contact someone. If you leave your service on, your battery will drain from searching for service, and then you won’t have your phone to take all those fun pictures and videos. While there are a lot of people attending EDC—around 140,000 per day—the crowds are manageable. People give each other space in the crowds, so finding room to dance is an easy task! Regardless, you still have to be aware of the sheer number of people and the amount of time it can take you to get in and out of a stage, especially kineticFIELD, the biggest stage at the festival. Make sure to hold hands with your friends when making your way through a crowd; it can be easy to get lost if you don’t. If you’re leading the pack, continuously look behind you to make sure your group is together, and stop for a second if you need to get everyone caught up. Insomniac prides themselves on providing the best possible medical care for their Headliners (what Insomniac calls its attendees). If you’re feeling sick, or even just a little dizzy or lightheaded, head over to medical and they’ll take great care of you. With all of the lights, music, and lasers, EDC can be overwhelming for some, so if you need a break medical is happy to help. Make sure to keep an eye out for your fellow Headliners too, and lend a helping hand if anyone’s not looking too good. Learn more about health and wellness at EDC. As we mentioned before, food and water are extremely necessary to stay nourished and happy! It can get very hot out there even in the middle of the night, so hydration is the name of the game. 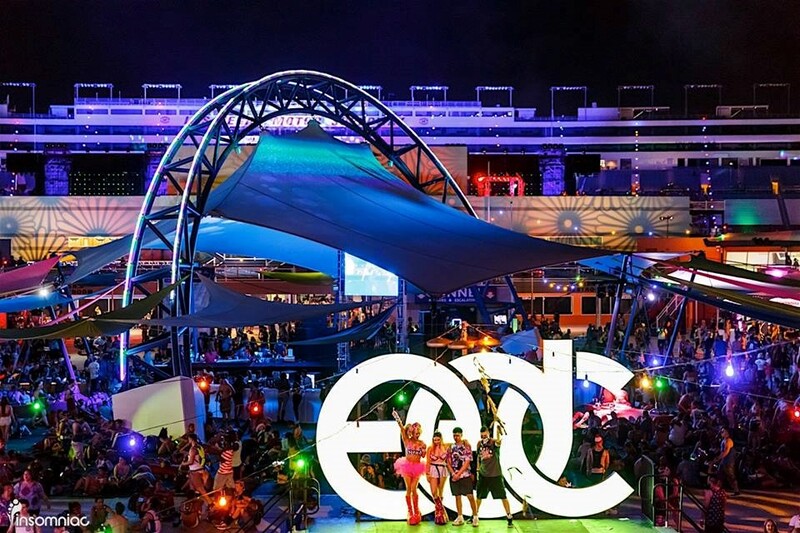 Not only does EDC have eight jaw-dropping stages that you’ll be hard pressed to leave, but it’s also filled with all of the carnival rides you could possibly wish for. You’ll find spinny rides, roller coasters, and a gigantic Ferris wheel that gives you a stunning birds-eye view of the entire festival. It’s not an easy task to step away from the music, but it’ll be worth it. 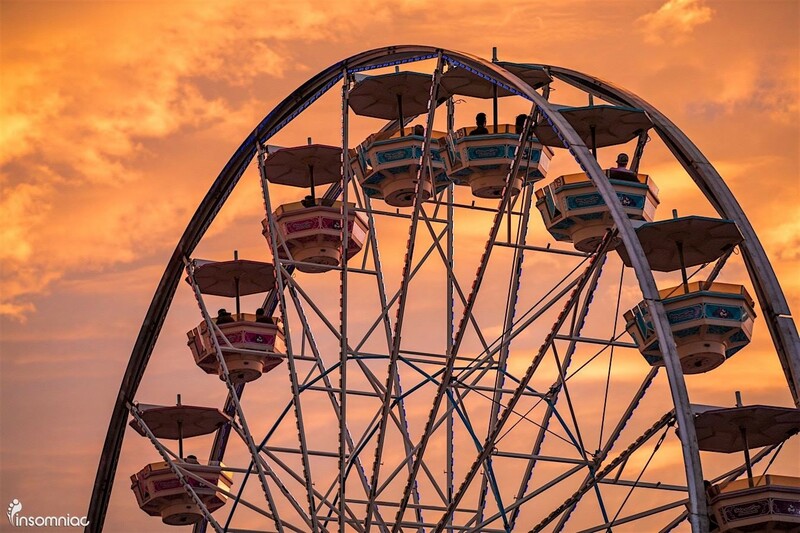 Change things up and do one or two rides every day, and absolutely give the Ferris wheel a spin one night! You won’t regret it. 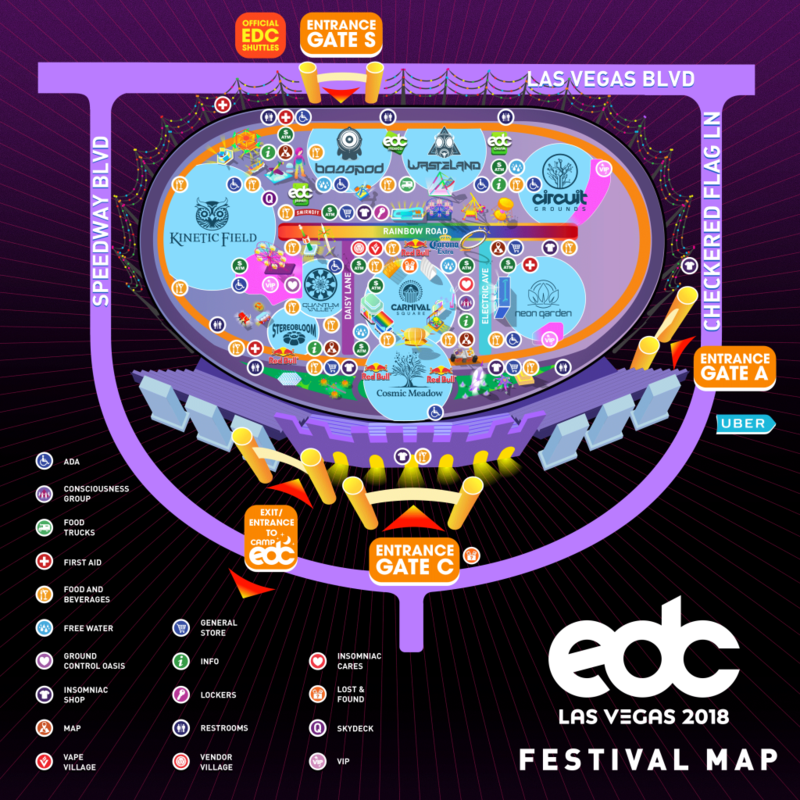 The EDC app is extremely helpful to navigate the festival, plan out your schedule, and learn about all the fun things EDC has to offer. You’ll find a festival map, artist set times, and descriptions of the stages, art installments, and special areas all within the app. Once set times are released, you can create your own schedule on the app by adding the artists you want to see, making it easier to see what your personal night is going to look like. But, be careful with your planning! The best way to do EDC is to only plan a few must-see sets for each night, and follow your eyes and ears for the extra few hours. You never know who or what you might discover. The festival map will be a huge help for first-timers, considering the enormous size of the festival. On the first day, use the map and walk around to get your bearings, figuring out in which corners each of the big stages are in. You’ll thank yourself later when you’re rushing between stages to catch a set! Get the 2018 app here. 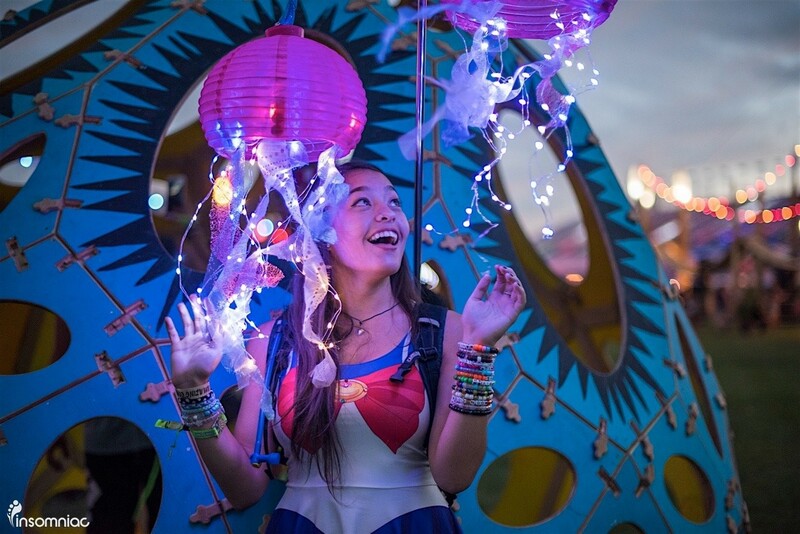 There are so many cool things going on at every single corner of EDC, so get out there and explore! EDC is all about the full experience—the art, rides, performances, you name it. The world’s biggest electric playground is right in front of you, so go watch a wedding, play games in the carnival square, and jam out at a little art car. Who knows, you might find yourself at a secret Hardwell hip-hop set or a surprise Kaskade Redux sunrise set up in a treehouse. The more you open your eyes, the more you’ll find. And the possibilities are endless! 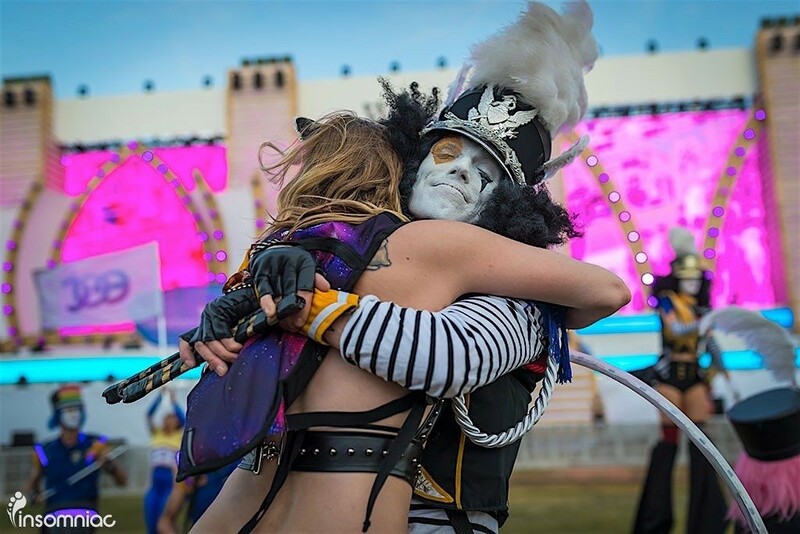 The community present at EDC Las Vegas makes it such a special place. From the minute you step into Vegas during EDC week, you’ll feel the love and acceptance radiating from all of your fellow Headliners. EDC is a place for everyone, a place where being different is celebrated and expressing yourself is encouraged! So wear that crazy outfit that you would never wear anywhere else, put on that pink wig and just watch how many people LOVE that you did so. 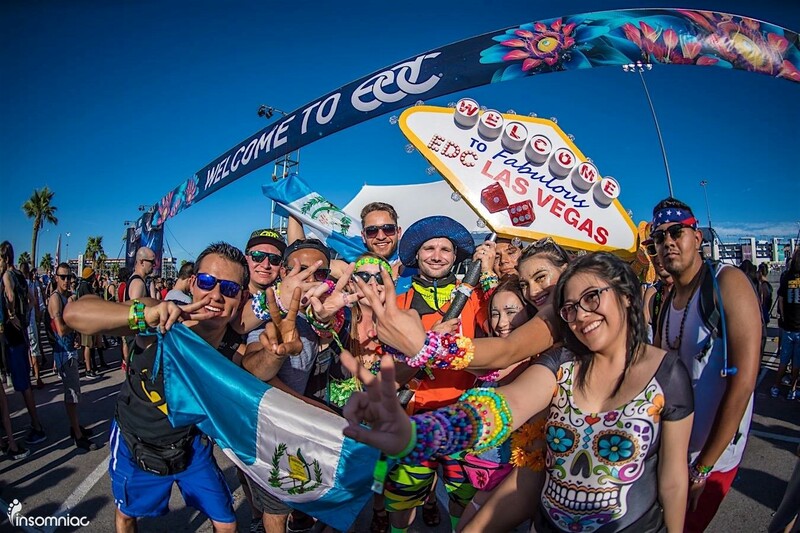 Make as many friends as possible, meet the crazy, fun, and caring people of EDC, and bring that sense of community to your real life when you head back home. Get ready for all the hugs, high fives, and smiles you could possibly wish for. EDC creates an amazing environment for self-discovery, but you have to be open to the process! Go to that set alone that your friends might not want to see, or go exploring by yourself for an hour or two. Put sparkles all over your entire body and make that totem of your favorite SpongeBob face. Do what makes YOU happy! Embrace your individuality, and you’ll come to realize how much better it is to be your truest self after those three days under the Electric Sky.